The Big Four accounting firms have legal divisions operating overseas that put them on a par with the largest law firms in the world, according to a report by ALM Intelligence. Soon after the report was issued, PricewaterhouseCoopers announced it is opening a U.S. law firm in Washington, D.C., the Am Law Daily reports (sub. req.). The Big Four–PwC, Deloitte, Ernst & Young and KPMG–have an average of 2,200 lawyers working for them in 72 countries, with a focus on European markets, according to the ALM Intelligence report. They are also looking to Canada and Asia for growth in legal services. Their strongest practices consist of legal services related to taxation, immigration, and labor and employment. The Am Law Daily (sub. req.) covered the findings. In the United States, almost every jurisdiction has ethics rules that bar nonlawyer ownership of law firms, nonlawyer management of law firms, and sharing fees with nonlawyers, according to an issues paper released by the ABA Commission on the Future of Legal Services last year. 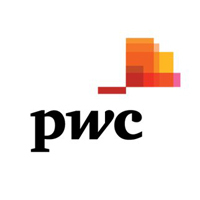 But PwC’s U.S. law firm, called ILC Legal, will operate separately from the accounting firm, according to Richard Edmundson, who heads PwC’s international business reorganizations practice. It will help U.S. clients on international issues and won’t offer U.S. law advice. Washington, D.C., does not ban multidisciplinary practices owned by nonlawyers, but that isn’t the reason Edmundson cites for the chosen location. Bar rules there allow lawyers to register as foreign legal consultants and practice U.K. law, he told the Am Law Daily. Edmundson said ILC Law has no plans at this time to open more U.S. offices, but it could happen in the future. “We will see how the market reacts,” he told the Am Law Daily. Law firm leaders are waking up to the Big Four threat, the ALM report says. Sixty-six percent of partners surveyed said they were concerned about alternative legal service providers and accounting firms, and 64 percent said accounting firms moving into the legal industry was a bigger threat than the expansion of in-house legal departments, e-discovery vendors and legal process outsourcing companies. ALM Intelligence did not provide information on how many partners were surveyed. The report notes that the Sarbanes-Oxley law, passed after the collapse of Enron in 2001, prevents auditing firms from providing a range of core legal services in the United States. But regulators allow accounting firms to offer nonauditing services, including legal services, to companies for which they don’t serve as auditors, the ALM report says.